Our nappy cakes are unique and practical gifts for parents and bubs. Made of highest quality baby products, they are the perfect unique gift for any newborn baby. 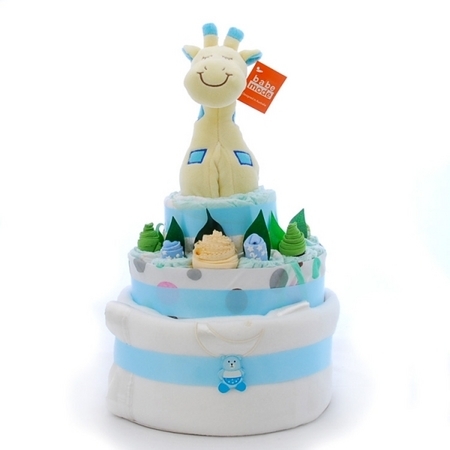 14 x Huggies Nappies, 3 pairs Baby Socks, 1 x Baby Singlet, 1 x Baby Blanket (100 x 75cm), 1 x Baby Giraffe and 3 x Face Washers.